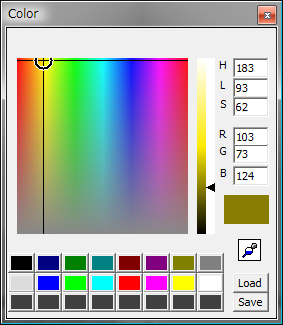 The Color Window will be displayed by pressing the 'Color' button on the primitive pane. You can choose the primitive color by this window. You can pickup the color anywhere on the screen by dragging the 'PIPETTE' icon. 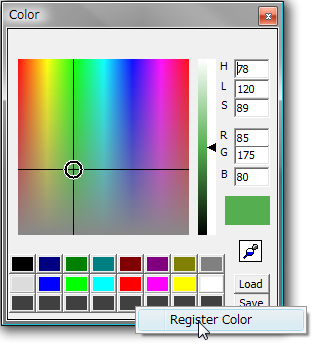 You can register created color by Right-click menu on each palette. Your favorite Color palettes will be saved to '.skpal' file that is compatible to 'SkinMan'.